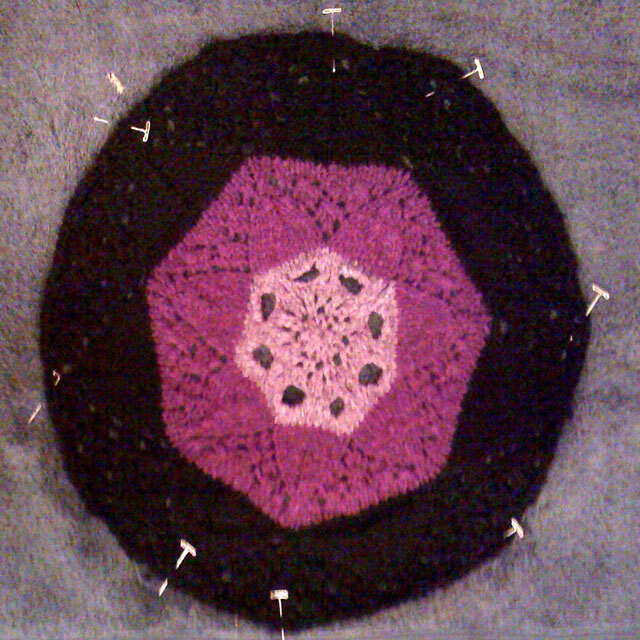 My Heirloom Lace Doily Placement project is half done! 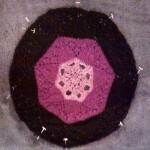 I am using a free heirloom lace pattern that I came across on Ravelry. I choice Liz Snella’s pattern since it had natural breaks for color changes; also it has text and charts which are helpful. For color changes, there are areas where there are 3-4 rows of knitting which works well in the finished project. The one issue I have with the pattern is that a K3Tog is used where a slip 1 K2Tog PSSO would give a much nicer line which would be a good design feature. While I am generally not one to make utilitarian projects or knitted items that require more than one, of late, I have been on a lace doily kick. 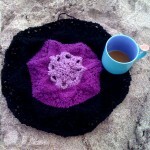 My mind likes the way that the knitting goes round and round while the pattern slowly emerges. I give a tip of my hat to Kay and Ann of Mason Dixon Knits for their exploration of ways to use your knitting to decorate your home and spread your love. With this project, I’m accomplishing both. 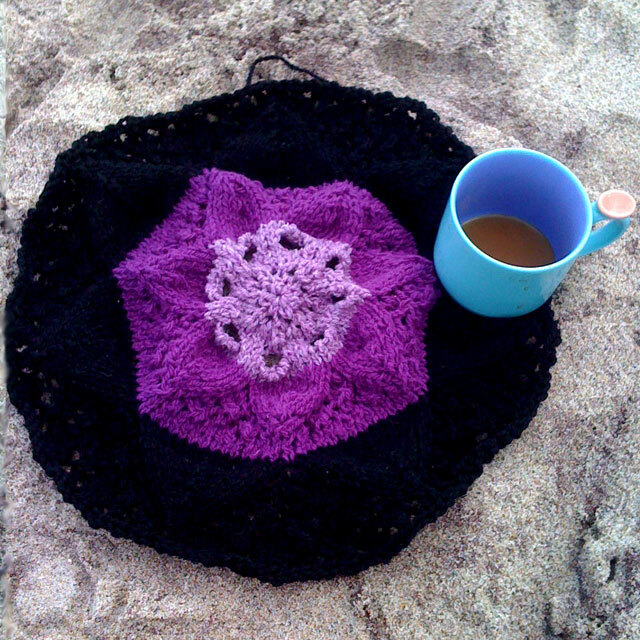 I tried the Two Color Lace Doily which is another free lace pattern and knitted one and a half doilies but I found the pattern boring for what I wanted to do. When I tried modifying the pattern, I didn’t like it so I frogged it and started a new pattern. In knitting, it’s important to know when to frog your work. I think that it’s better to frog something that you’re not happy with rather than let the unfinished piece nag you from the depths of your knitting bag. What do you think?